One of the biggest buzz terms today is “user experience.” Truth is since the dawn of commerce those who have been successful have more often than not placed an eye toward user experience. Today the term has evolved to be more inclusive of branding and marketing – truly every touch point in which a user “experiences” your brand. In the age of nifty square icons with rounded corners, “user experience” even has a cool abbreviation: UX. Your humble author has written in the recent past about the new aspects that determine UX in the digital age. One of the most significant factors is the content/message being responsive. When you hear one of my types utter “responsive” today it usually refers to the automation of content constraints so that a virtual unique digital user interface is optimized relative to the experiential environment. That’s geek-speak to say that the stuff on a webpage sizes itself to look right on different size screens. Most high traffic websites now are “responsive.” Columns, images, and text will resize and re-order to make it easier to consume via TV, desktop, laptop, tablet, or phone – portrait or landscape orientations. This article, however, is not about that kind of “responsive” communication. This post focuses on a more elemental – and powerful – type of responsiveness relative to brand building. And I’m using two very recent and very impressive examples from organizations in the southeast US to do so. I have little doubt that if Cade joins a fantasy football league next year, his first pick will be Cam Newton. Think about that. The NFL is a billion dollar multinational corporation (actually a non-profit, if you didn’t know). 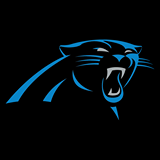 The¬† Carolina Panthers spend millions of dollars each year marketing their brand to fans. I would venture to say that this simple act did more for the image of professional football (and man does it need it) and for visibility of the Panthers organization than just about anything short of Tim Tebow being named commissioner and a Super Bowl victory, respectively. Do I think it was pure altruism with no regard for the PR value? Heck no. Do I care? Nope. Do I admire the Panthers for doing it? You bet. And there’s no way that they could have known they would be the only team to respond. But they were. To owner Richardson – great job. To the folks responsible for routing that letter to Mr. Richardson – awesome job. Back to owner Richardson – those a fore mentioned folks deserve a raise. Or at the very least their own Kuechly autographed swag. For our second example we shift ever so slightly south and west. Atlanta-based Delta Airlines is one of the largest and most prominent companies in the world. Any travelers know that you very rarely feel more at the mercy of “powers that be” than when you fly commercial. I’ll also note it’s not like airlines are traditionally recognized as bastions of responsiveness and customer service, so this example may mildly surprise some people. @Delta heard that you respond to social media interactions within 15 minutes. Can that be true??? @Delta mind if I use this as an example of doing it right? That’s not the full correspondence. The responder actually sent me a link to contacts in Delta’s PR and marketing departments. Absolutely excellent. It was evident through the exchange that there was an actual human on the other end of the tweet line. Was it an actual Delta employee bunkered in a high-tech social media laboratory in Atlanta? Probably not. Was it a third-party contractor perhaps overseas? Maybe. Didn’t matter to me. The point was Delta responded promptly and substantively. I didn’t get a form response. Yeah, Twitter is a small part of what Delta does, but isn’t that the point? Paying attention to the small stuff gives me more confidence they’ll get the big stuff right. Or if they don’t get it right, they’ll make it right. So what have we X’ed here? In a world focused on UX, “responsive design” should mean more than the just the difference between 16:9 and 4:3 aspect ratio. Digital experience is important but it’s only one component of brand interaction. As marketers we must think in a circumnavigational manner regarding our user’s interface. It’s not just screen to face. For brand building, the other senses matter too. Go Panthers. Fly Delta. NOTE: Sports teams mentioned in this post do not necessarily reflect the preference of the staff, management, or shareholders of Maris, West & Baker. Go Browns, Saints, Tarheels, Boilermakers, Braves, and Blazers, among others.